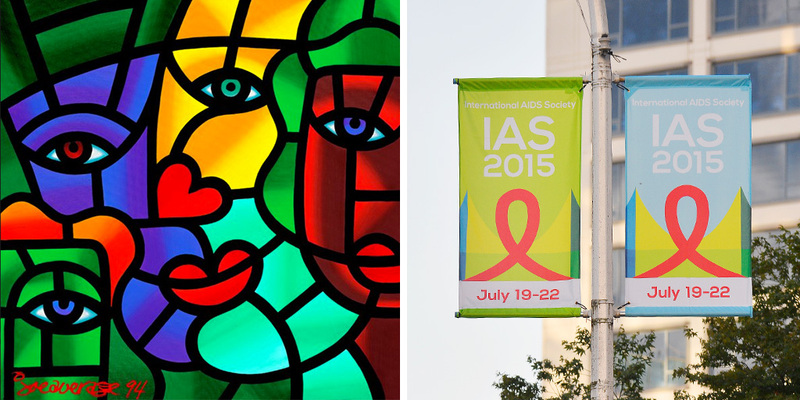 The 8th International Aids Society (IAS) Conference was held in July 2015, in Vancouver, British Columbia. 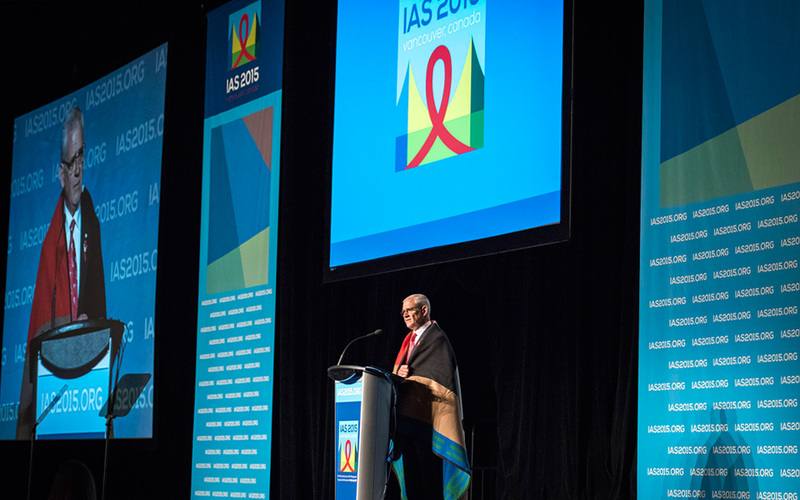 Vancouver welcomed the biennial forum, the largest open scientific conference on HIV/AIDS related issues and its 5,548 delegates, representing 117 countries from around the world, to share the state of affairs of HIV/AIDS in Canada and the US. 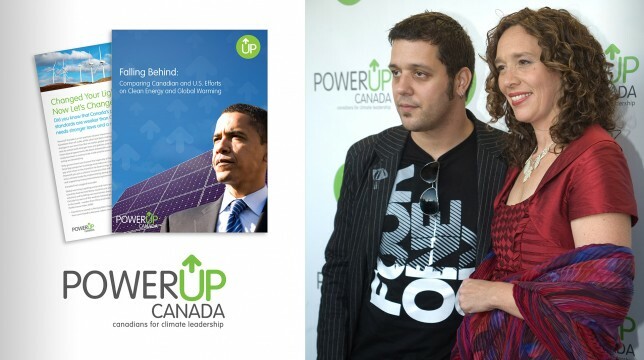 KIMBO Design was brought on board to create the conference brand logos, graphic profile, and a series of flags that flew above many streets of Vancouver to showcase the conference. The flags announced the upcoming conference to Vancouverites, and boldly welcomed the delegates on their arrival and during their stay. Our public service experience have prepared us to work under time-sensitivity and budget constraints, as was the case with the IAS. We commit to a process that keeps timelines in check, but also allows plenty of room for creativity. 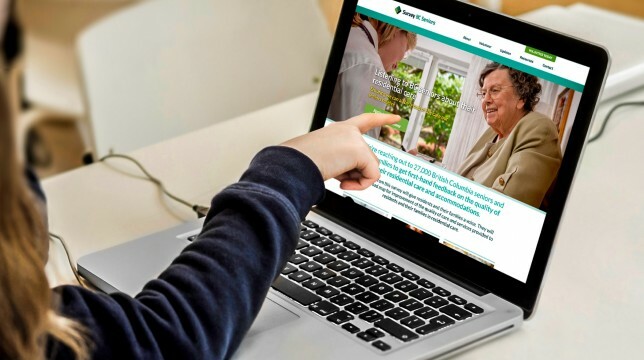 This project involved a number of IAS stakeholders who were decision makers, so we guided our team to a consensus by mediating and directing the differences of opinion that naturally occur when critiquing design concepts in a large group. Our design incorporated the eye-catching colours reminiscent of the iconic stained glass social artwork created by Vancouver graphic artist and painter, Joe Average. Vancouver’s symbolic Lion’s Gate Bridge was also depicted, which due to it’s unique styling, may also be interpreted as the two majestic mountain peaks that can be seen in Vancouver’s northern skyline; The bridge was named after these mountains (The Lions). We chose this structure, not only for it’s status as a well-known Vancouver landmark, but also for its significance as a milestone of progress and growth. The inclusion of the red ribbon, a universal symbol of awareness and support for AIDS, was a natural choice to complete the work. This ribbon was the of its type, powerful enough to later inspire many imitators. 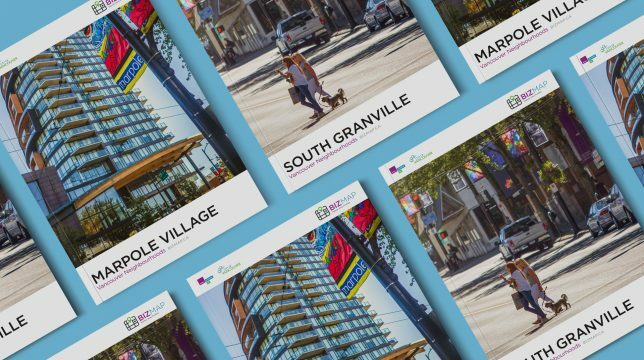 The IAS logo KIMBO designed reached far and wide around Vancouver, as the logos could be seen not only from beautiful flags dancing above the streets, but also in the downtown area on tote bags, lanyard badges, and printed brochures. The banners we created could be seen flying high and flapping in the wind all over the city, and the large number of image shares showed the buzz they were creating on social media. 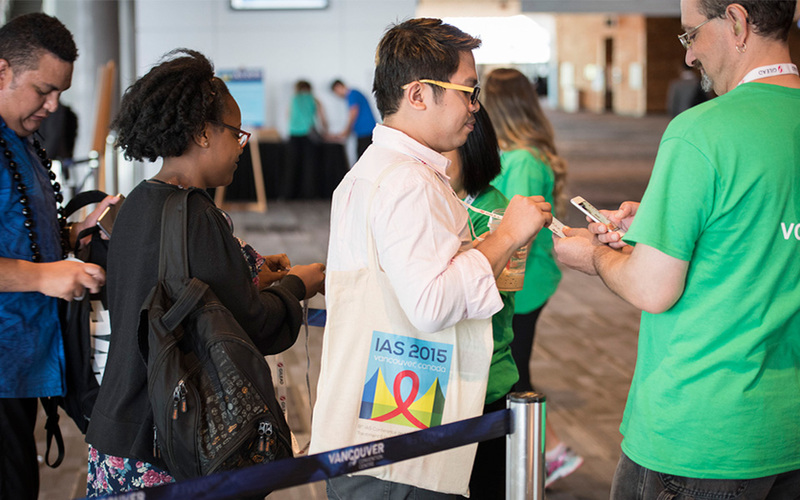 The hashtag we highlighted, #IAS2015, commanded significant reach, and by the end of the conference, the event received 8,200 tweets, 71,700 re-tweets, and the reach was 43,700,000 viewers via Twitter. Through the conference’s Facebook posts, IAS received 348 likes, 73 post shares, and 68 new page likes. These metrics were gathered over a short window, from Sunday, July 19th-Wednesday, July 22nd, proving the serious impact and reach of the social media campaign.